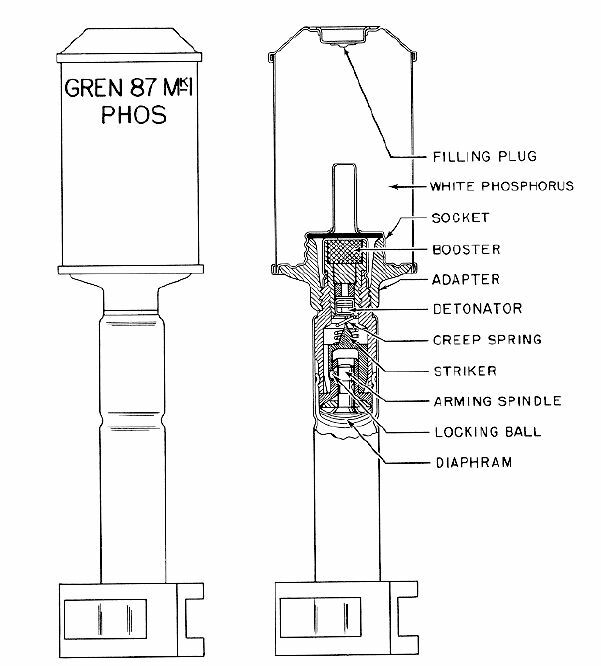 This WP smoke rifle grenade used the body of a No.77 WP smoke grenade. Fitted to a tail section, it could be launched from a rifle. It's base fuze was the same No.431 Mk1 as used with the No.85 A/T grenade. Length: 263mm , Diameter: 54mm. Weight: 567gram , Filling 255gram WP.